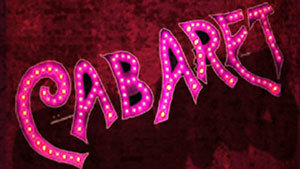 “Cabaret,” winner of the 1967 Tony Award for best musical, is coming to the University of Notre Dame Wednesday-Sunday (Nov. 13-17). Known for its outstanding music, edgy themes and underlying social issues, the show will be the first full-scale musical the Department of Film, Television, and Theatre (FTT) has produced in more than 20 years, said Associate Professor Kevin Dreyer. More than 100 students will be involved as cast and crew in the show — about four times the number of students needed for a non-musical production. To bring the notorious Kit Kat Klub in “Cabaret” to life, FTT is partnering with the Department of Music and PEMCo, the largest student-run musical theater company on campus. As part of the cooperative effort, Dan Stowe, associate professional specialist in the Department of Music, will serve as music director for the 25 students who will provide orchestral support during the performances. Senior Samantha Schubert, a theater major and producer for the PEMCo 2013-14 season, said she is excited about this first-time partnership between FTT and the student theater company. “To see two groups with such passion for what they do come together means so much. I’m just happy to see this bridge being built. Schubert looks forward to working behind the scenes on “Cabaret.” She noted that it is an exciting opportunity for students to work with professional director Nathan Halvorson, who will be brought in for the production. “Because the director is from outside the University, it’s a chance for students to get new insight on their performances from someone with a fresh perspective,” she said. Halvorson is equally enthusiastic about working with the Notre Dame faculty and students for the first time. “One of the joys of my life is being able to teach and hopefully pass on some of the things that I have learned over my career. Although he has directed and choreographed a wide variety of musicals, Halvorson said that he has a longstanding interest in “Cabaret.” Set in 1931 Berlin amid the growing threat of the Nazi party, it is the story of a struggling American writer and a British cabaret singer. “’Cabaret’ was a game-changing musical when it first premiered,” Halvorson said. “It took a horrific situation in history and used the musical theater form as the lens to tell the story. It was the first musical to not use a main curtain, there was no overture, and it did not shy away from the subject matter in the slightest. Looking ahead, Dreyer hopes to include a musical in the FTT theater season every three to four years. Originally published by Carrie Gates at al.nd.edu on Sept. 26, 2013.